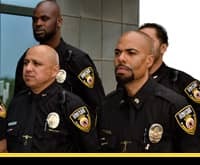 Our security solutions provide maximum protection of your interests whether they be in private security, facility security, event security, security systems or one of many other security guard services we offer. We pride ourselves in customer service and in providing great value. Our management system has been structured to assure that our field operations establish a safe and responsive environment for our clients. Our security guard training keeps our security guards at the top of their game, both is service and in technology. Our United Security Services team never sleeps. We cater to each client providing access to their account manager and a local state of the art Security Guard Dispatch Center 24 – 7. United Security Services recognizes the importance of access and communication. Our quick responsiveness and cutting edge resources are part of the value of our services. Our branch offices, local security dispatch centers, and our corporate headquarters are available to your around the clock. Our investment in technology has put United Security Services ahead of the game. We utilize the most advanced and sophisticated tracking systems. Our clients get an overview of operations in real time. Our digital reports come by thinking green. Clients and management have greater control with our customized security systems. Field Supervisors randomly visit each site in support of our security guards to assure our security team is consistently delivering to surpass client expectations. Our security guards are briefed on new rules, regulations, policy changes, uniform inspections and equipment inspections. We keep our security guards on their toes with unannounced visits to assure they are delivering up to their maximum potential. We provide security services to a wide range of industries. United Security Services has organized categories for each assignment. Our attentiveness to each industry has our security team prepared to provide diverse security services. Our security divisions include Armed Security, Unarmed Security, Patrol Security, Loss Prevention, Event Security, Executive Protection and Bodyguards, and CCTV Systems.